Jill Morley, "Girl in the Ring"
Lyle Fitzsimmons of Sports Network has written a fabulous feature piece on Jill Morley and her film “Girl in the Ring.” This must read article published by the Miami Herald among other newspapers can be found here. The Daily News featured a piece on Christina Cruz yesterday. 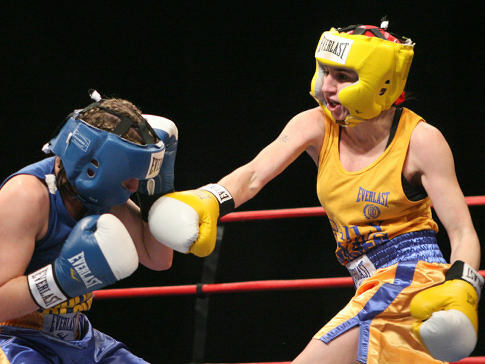 Christina will be entering the Golden Gloves for a shot at her fifth title — as she works towards gaining a berth on the U.S. 2012 Olympic Team. The link is here. Girlboxing is a proponent of Women’s Boxing everywhere and found this piece on India’s Mary Kom entitled, “Representing your country is such a big thing.” The article is an exclusive interview with Mary Kom published on Rediff Sports website. The interview can be found here.